Start your usual morning lineup off with this energetic heroine! Rapunzel wields her frying pan with a sassy stare, her classic look updated with colorful patterns. Be inspired to take on the day with an upbeat smile, just like this beloved princess! 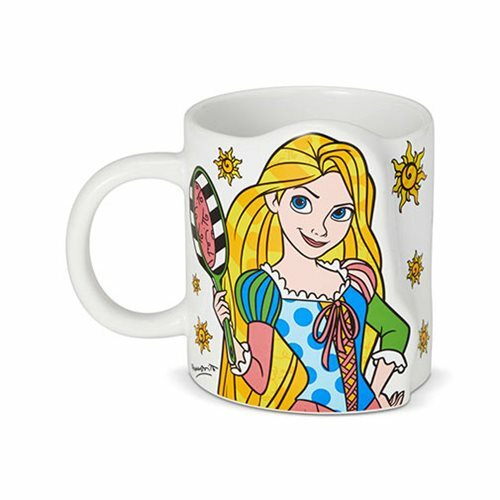 The Disney Tangled Rapunzel Mug by Romero Britto measures about 4 1/2-inches long x 3 3/4-inches tall x 3 1/8-inches wide.